The latest from Brooklyn duo Smif-N-Wessun is clear-eyed and thoughtful, with a touch of rugged East coast swag. Supported by 9th Wonder and the Soul Council's hearty drums and artful soul samples, Tek and General Steele exhibit sharp chemistry, tempering their signature machismo with tenderness and wisdom. Longtime fans will find this album refreshing. 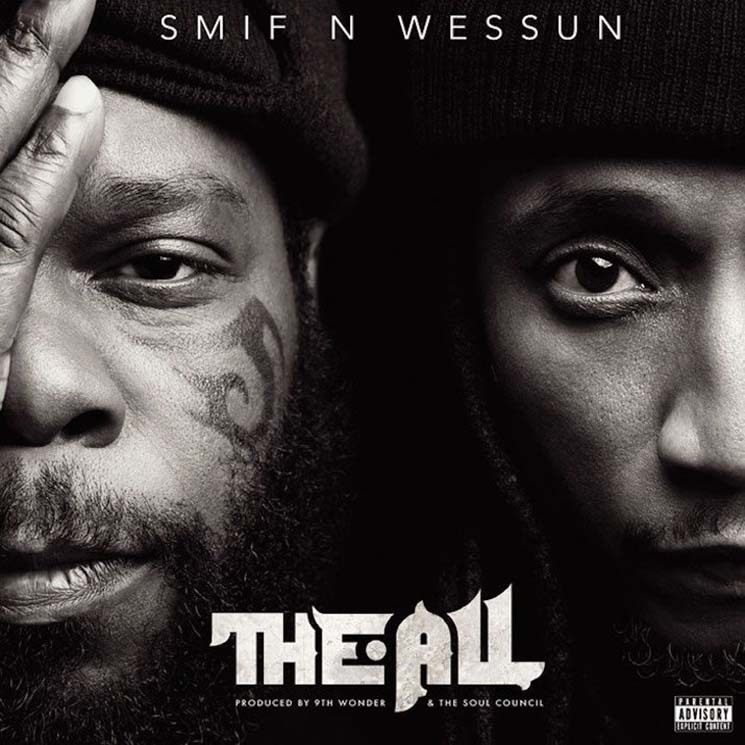 Songs like "One Time" and "StahfAllah" provide just enough of a nostalgic touch to satisfy Smif-N-Wessun diehards without dwelling on the glories of yore. "Letter 4 U" is heartwarming and earnest; its sincerity staves off any mawkishness. "Let It Go" it quintessential timbs-and-hoodie rap, the exact type of song two Duck Down mainstays should be making. Though The All is a fairly solid effort, a few songs fail to land. "Ocean Drive" is cute enough but ultimately thin, and Rick Ross was better left standing alone on "Let Me Tell Ya." Those looking for intricate lyricism might find this album a bit lacking, however the bars are just strong enough to keep you awake.